Saturday, January 20th, 2018 at 12:18pm. Treat your Loved One to a TriCities Area Valentine's Day Event. SINGING VALENTINES: Greater Johnson City/Jonesborough area. Feb. 14, 12:30-5:30 p.m. Jonesborough Repertory Theatre Players will present personal greeting and a musical expression of your love with singing Valentine to office, home, classroom, restaurant or anyplace, $15. 423-791-4440. VALENTINE SERENADE: Bristol Virginia Parks and Recreation Department’s Cupid have lined up singing duet teams to deliver that special someone a melody of love and / or appreciation on Feb. 14, 9 a.m. to 5 p.m. Along with their song, a rose and card will be presented at each visit. $17 per visit. To request a serenade, call 276-645-PARK. Thursday, February 9th, 2017 at 1:28pm. Monday, January 30th, 2017 at 6:00pm. Writing an offer is exciting and the first step to buying your new home. When you have reached this point in the process, the homework has all been completed, and it's time to get down to business. Start with a comprehensive data analysis of sold comparable properties. Base your offer on real comparable data. We know what is available now and this is the one.. What will you need to make the offer? Financing or Proof of Funds - Make sure everything is in line with how you will pay for the property and you have the funds accessible or a preapproval letter from a lender. Monday, January 23rd, 2017 at 8:42pm. 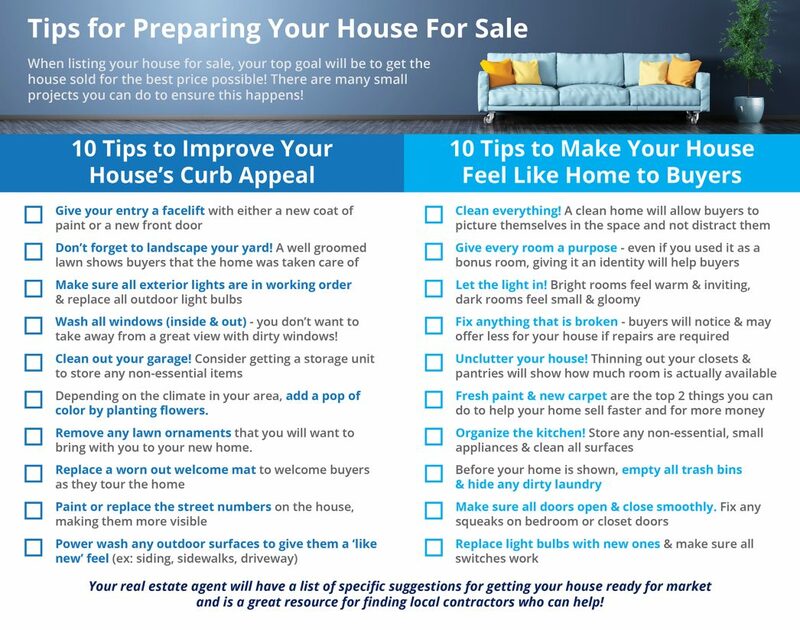 I have a list of specific suggestions for getting your house ready for market and a great resource for finding local contractors who can help! Tuesday, January 17th, 2017 at 9:03am. Is This The Year to Buy your Dream Home? Friday, January 13th, 2017 at 6:31pm. Tuesday, January 10th, 2017 at 11:09am. Monday, January 9th, 2017 at 2:04pm.